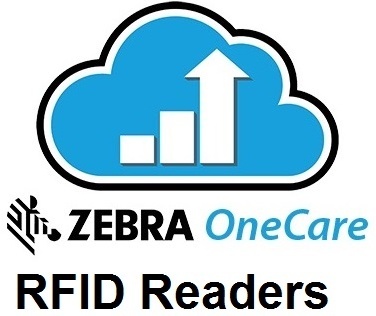 Introducing Zebra OneCare for RFID Readers, the new service that transforms traditional break-fix support to a strategic service that helps you meet your mobility goals and maximize the return on your investment in Zebra devices. Zebra OneCare increases device availability, keeping your Zebra mobile devices where they provide the most value – in the hands of mobile workers. With three service levels and plenty of add-on options, you can choose the level of service that meets your business needs and budget. Zebra OneCare Essential provides the basic services that every business needs. Offering expanded support hours, faster turnaround times and more. Need a higher level of care? Zebra OneCare Select service delivers more capabilities. If a device needs repair, we ship out a replacement as soon as you notify us and prior to receiving the broken unit. We’ll even commission your mobile computer so it’s ready to use on arrival. No matter what time of the day or night you have a problem, our experts are ready to help. Select service provides a technical support help desk with 24x7 availability. Want visibility to better manage assets within your environment? Our cloud-based visibility service option, powered by our Asset Visibility Platform, provides the location, condition, health, usage patterns and repair history of your device to enhance overall productivity within your business. is a fully customizable offering, allowing you to collaborate with Zebra and our business partners in designing a service package that’s tailored to the specific needs of your business. And all service levels provide unparalleled from-the-manufacturer product expertise — no one knows our products better than we do. Zebra OneCare — once again setting the bar in the service industry. Are business outcomes critical to your operation? Is the highest level of productivity essential for your business? Zebra OneCare Premier, our highest level of service, delivers a truly differentiated service experience. You choose the features you need, from customized dashboards, advanced diagnostics, 3rd party software support and proactive alerts designed around unique thresholds you select, all supported by a dedicated help desk. This level of deep operational insight allows you to integrate your operations and truly transform your business by taking full advantage of Zebra’s overall service capabilities. • Expedited Replacement Service: If a device needs repair, we ship out a replacement as soon as you notify us — before we receive your broken unit. • We also commission your printer settings and label formats so your device is ready to use right out of the box. • Priority call handling with defined escalation process. • On-Site Service: We can dispatch a technician to your facility to troubleshoot and resolve issues for the most critical situations. •Asset Visibility: Want visibility to better manage assets within your environment? Our cloud-based visibility service option, powered by our Asset Visibility Platform, provides the location, condition and usage patterns of your LinkOS network enabled printers to enhance worker productivity. • Perform advanced diagnostics to meet your business needs. Availability is key to the success of your business. Protect your investment and help ensure your Zebra devices achieve maximum uptime and peak performance with Zebra OneCare support services.